Sipsey Street Irregulars: Trump Derangement Syndrome. Loring Wirbel has resigned as co-chair of the Colorado Springs chapter of the American Civil Liberties Union of Colorado after facing mounting criticism for a Facebook post that said people voting for Donald Trump should be told "I will have to shoot you before election day." "I will have to shoot you with my guns that I don't have or know how to use because my organization doesn't believe self-defense is a civil right." "It was intended totally as a joke." And if any of us made the same joke about supporters of a certain marxist feminist or socialist doormat, we wouldn't be encouraged to resign. We'd be fired, harassed by media, and probably arrested for terroristic threats or some nonsense. Also, while I look at Trump as the least worst of presidential candidates in the field, I don't get why he's being compared to Goebbels. He wants to block immigration of refugees who are likely (and according to Daesh itself, are) mixed in with a heaping helping of our country's enemies. Maybe that's not nice, but it's reasonable. And it's far kinder than the Democratic solution to potential foreign threats in our country. Look at FDR's Japanese internment camps, or Carter canceling Iranian entry visas. But I guess everything is okay when they do it, and nothing is okay when we do. shot ... in the foot! Will people be supportive if the next totalitarian, authoritarian, and/or fascist running for the top turd on the pile, starts clamoring for the registration of Christians and churches? Now what about all the threats on this site of lynchings, unintended consequences, lists for when shtf, etc. etc. (all by good christians of course). While Trump himself has made a fair job of coloring inside the lines of what should theoretically be political discourse, I think that it is entirely fair for the Republican establishment to notice that his popularity is being driven by sentiments which fall quite far afield of the appeal to ordinary politics. Not to say that they are right to oppose it, but I can hardly call them deranged for noticing it. Yes, they'll have to shoot us if they aren't willing to tolerate us leaving their little reservation. Because we'll shoot them rather than go back to being shepherded by those who collude with the wolves to devour us. So they would kill us if they don't get their way. Collectivists are a deranged group of people. Why I will never give up what I own. No matter what ! Behind enemy lines Ct.
Trump, two words: Third Party! But Trump clearly is deranged. How Many Americans Must Die For The Left’s Gun-Grab To Work? Is there any doubts remaining now about how dangerous the Communist contagion in America has become? 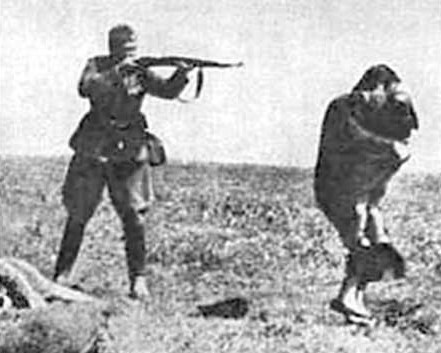 The answer to the shocking numbers of them is, is to genocide the Communists before they can disarm you. How many examples in history do you need to be PROACTIVE to their upcoming genocide, instead of attempting to be reactive (and failing because you tolerated them longer than incremental disarmament made you willing victims) to once they have disarmed you? The lack of strategically minded people who are aware to the danger is, well shocking to say the least.